I have updated the opencyclemap.org data source, as the openStreemap alternative is now hosted on a faster server. If you didn’t know yet, the cycle map is based on the very same data as the OpenStreetMap project but uses a specialized map renderer for outdoor activities. At low zoom levels it is intended for overviews of the National Cycle Network; at higher zoom levels it should help with planning which streets to cycle on. 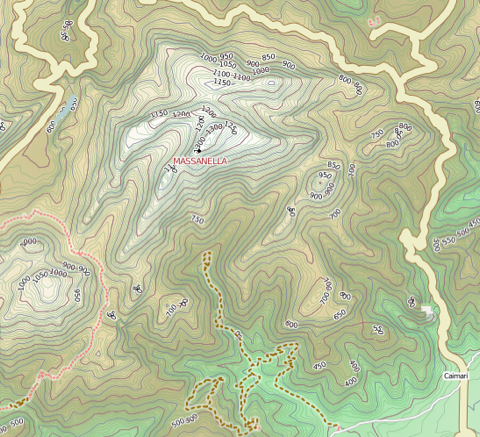 The new maps now display a elevation contours and hill coloring and have cycle lanes marked on streets within cities. 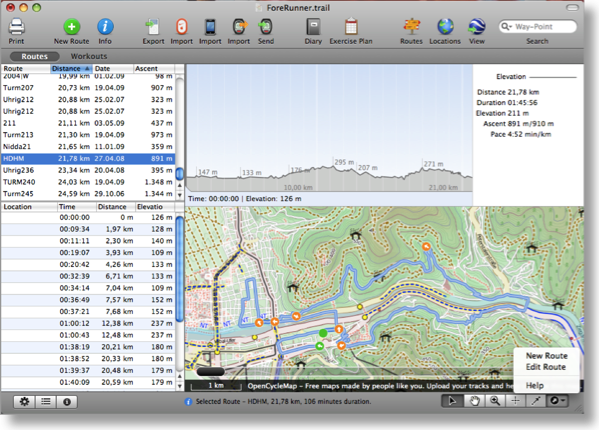 This time I'd like to place a call into the TrailRunner community. A call for your help. 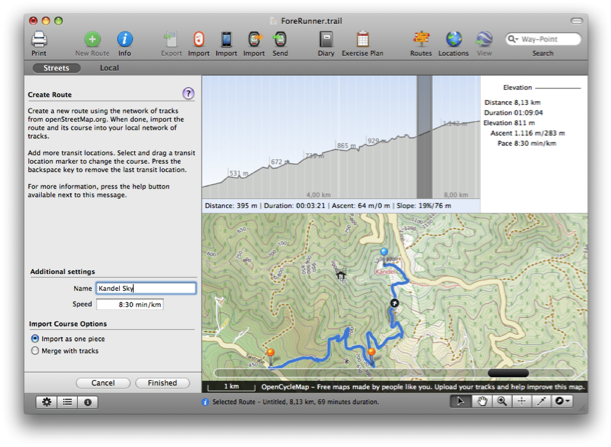 In the past, TrailRunner became more and more feature rich, not yet over-loaded but pretty complex. 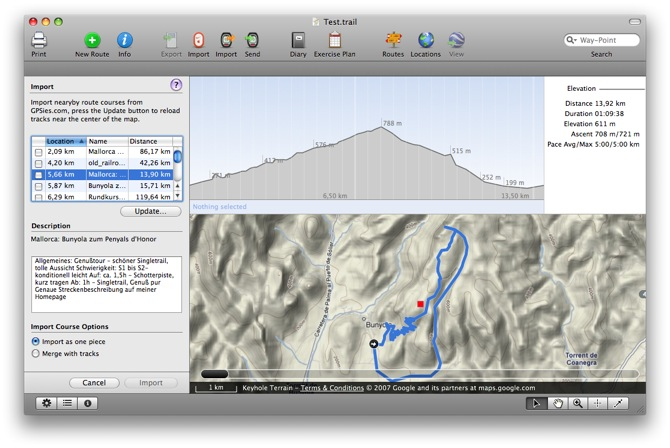 And TrailRunner has conceptual limitations by it's nature of being freeware using free services and a single person background (me). My development cycle goes from answering support emails, fixing bugs, developing new features, documenting features and back again. As you might have noticed I tend to develop features with the highest request rate first. But this ignores a great number users: The first time users. 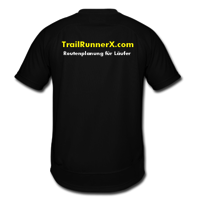 And to make TrailRunner bigger and better, we need helping them to get onto the trail. And that's what I am asking your help for. Currently I have set up three tutorials, one for each technical target group. But when Steve Jobs explained us all in his keynote that the Amazon Kindle will fail due to the fact that no-one is reading anymore, he was quite right. Written tutorials are good for those that take the time but nothing for a first time user. They want video tutorials. But video tutorials are double the work, or even more. Many software packages try to solve the learning curve problem by providing assistance like tip of the day, warning messages with the obligatory "don't show this anymore" checkbox and the glorious MS Office paper-clip assistant. I already have added warning messages on key usage trails but that's far from being perfect. I started on a tip of the day system but haven't completed this yet. In the age of internet it looks like every software package is required to have a forum. But at least after a month you need a forum administrator — and that's me. So I ignore the whole forum demand and keep focused on my feedback mails, unless I would know there would be valuable and useful support content growing in the forum content, without my intervention being required. Extending, refining and completing Tutorials, possibly by creating a video Tutorial. Giving me pointers on where first time users (like you once where too) would get stuck in the application and what tips of a day would help to get further. Making suggestions on forum topics that might help new users to get valuable information that is generated by other users, and not moderated by myself. If you have the time and ability, please drop me a line. Didn't you not always want to use iMovie and didn't know what for… Here you go (maybe). 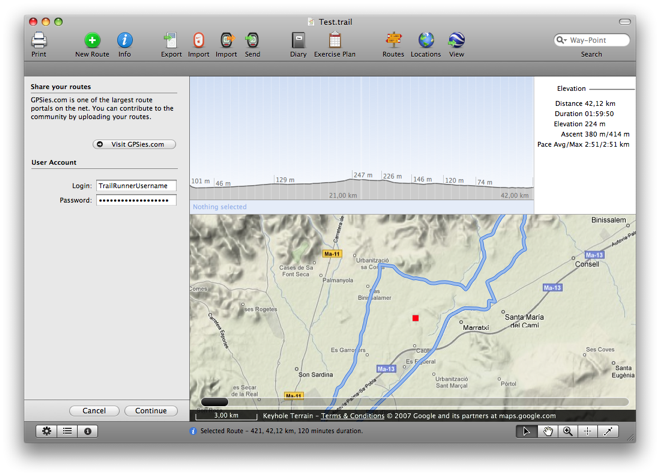 With GPSies you can view and download tracks which have been recorded by a GPS device. 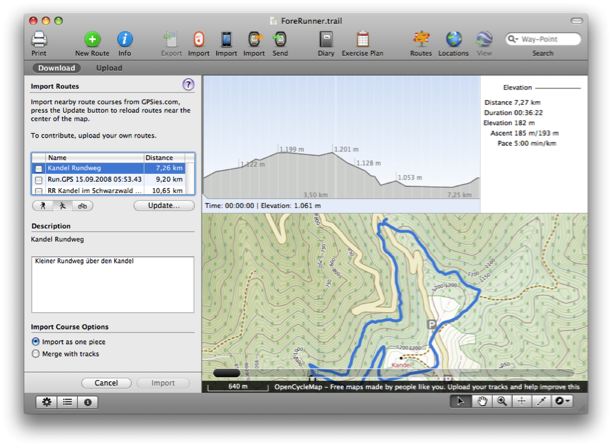 Whether you are searching for running courses or Mountain Bike Tracks, with GPSies you can see what Tracks others have recorded. And you can download all the Tracks and put them onto your GPS device so you won`t lose your way. EveryTrail is a mobile travel companion that enables travelers to Track, Share and Search Trips. 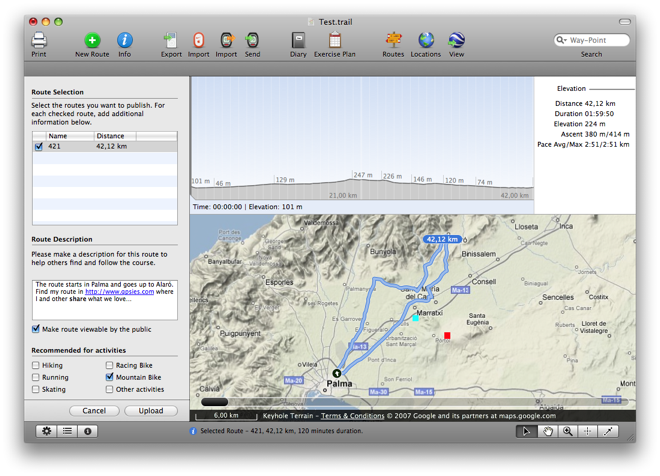 EveryTrail also offers apps for iPhone, Android and other mobile platforms. [Update] Route sharing website based and focusing on the UK. German: Hier findest du kostenlose Touren mit GPS Tracks zu Outdoor Aktivitäten in beliebten Kategorien wie Mountainbiken, Wandern, Reiten, Ski etc.